A jQuery extension that enables developers to embed filterable combo-box controls into web pages. A FogBugz plug-in for deprecating bug events. This plug-in provides additional reporting functionality to FogBugz to better enable you to keep tabs on your projects. This plug-in adds a widget that you can insert into a FogBugz wiki to display an article index. 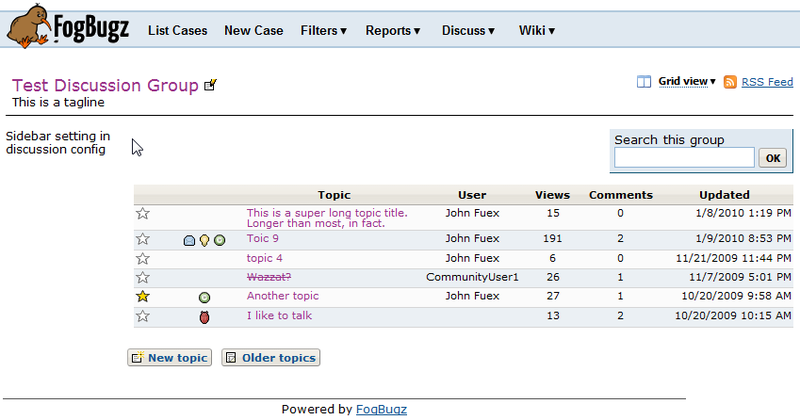 This FogBugz plug-in provides additional capability to the discussion boards. I like the scratchout plugin; while simple it’s rather useful. Any possibility to scratch out the text for attachments to a note (either by itself or everything together)? Many times our note is still valid, but I want to make sure folks don’t test the wrong file, etc. That is an item I’ve had on my bug list for a while now, but the FogBugz API doesn’t yet provide an interface to modify the attachments area of a case. I’ve been waiting for an update to the API to allow that, but might have to resort to a more hack-y approach in the meantime. I just released a new version that scratches out attachments and file links and posted it to the FogBugz plug-in gallery. Enjoy! 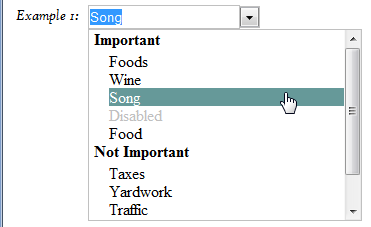 I’m using the Wiki Article Index plug in and have a minor issue. When I create a new link to a non-existent wiki article while editing an existing article, the new link shows up in the Article Index! (As shown in your screenshot above – it says “New Article”). FogBugz wiki configuration tool does not do this. Once the link is displayed in the wiki article index, I have found no way to hide it — it always displays the “phantom” article. Can you fix / revise this behavior?? I’ll check it out and see what I can do. Thanks for reporting the issue. This has been fixed in version 1.2.0 which is now posted to the gallery and on FBOD.